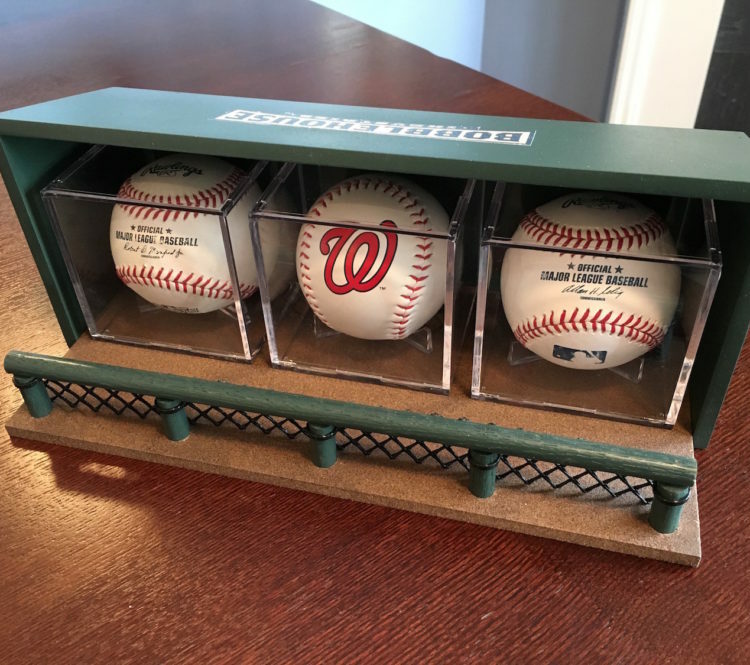 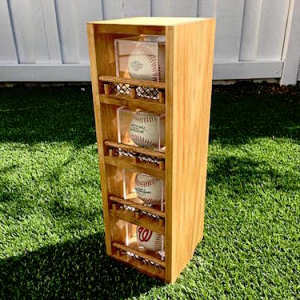 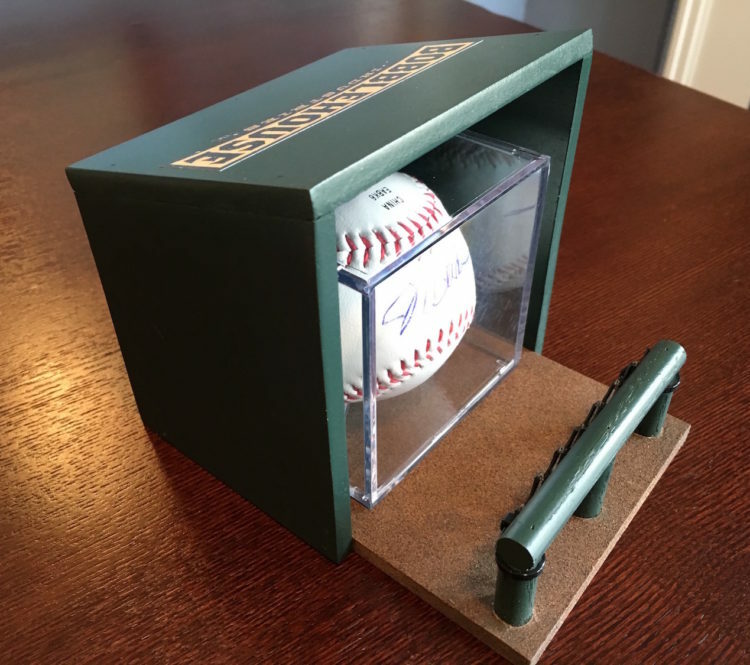 A great way to enhance and protect your baseball collection (4 baseballs). 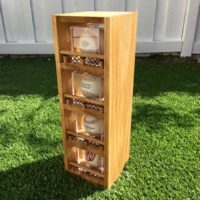 Hand made (Poplar/Oak), Stained, Numbered, and Signed. 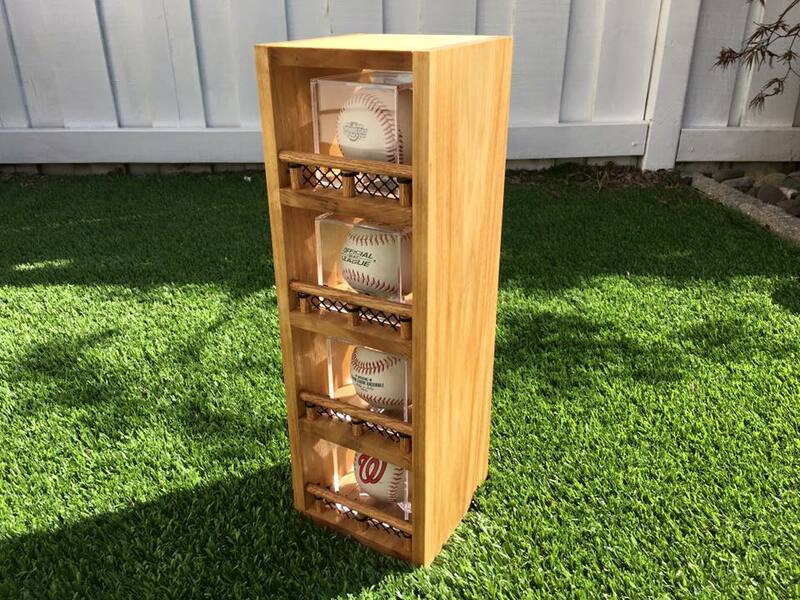 NOTE: Does not include plexiglass baseball protectors or baseballs.